This template I designed specifically for those of you who want to create a blog about sports news. 50 percent of the components of this template consists of the things associated with sports, especially body background images. Images could be changed according to your desires and your taste. There are some parts of this template you should know, especially the body, the composition of the column, horizontal navigation, widgets featured content, and more. following review of each one below. important part of the body is the image of the page background. Background image size that I use for this template is 1440px wide by 1000px high. Maybe a little heavy if you use a somewhat slower network, but you can delete this image body image and customize it with images that you want. Composition of the columns in this template, pretty much, ie, two columns in the header (header logo and the widget widgets for adsense with 728px width), two columns at the bottom navbar (widgets for future content and adsense with a width of 300px), four columns in the The main body (post widgets, and widget sidebar with each 120px wide, 300px and 125px) and eight columns in the footer section with the same width 230px. This template comes with a horizontal navigation as much as three pieces. one at the top of the template and two at the bottom of the column header. Navigation at the top is equipped with the login widget for blogger platform, while the navigation under the header, equipped with a google search widget. to change the navigation links to this, please open your blog account and go directly to the edit html tab pages. Search the code your-url-link and replace the code with a url link to your liking. Coolest Blogger Theme so far! Millions of thanks! Mohon ijin untuk menggunakan di blog saya ya..
how to change the background image? This blog has the widget and works, but the links go to beaskvitter.blogspot.com and they do not work..
i changed this back ground.. go to edit html, then find background image and remove it and change yours..
slidshow is not working please HELP ME !! Very nice template but i have a problem...the slide is not working. Please help me! Thanks! Guys, were you able to make the featured posts work? I installed this awesome template as well but so many tweakings but I can't make the featured section work. Nice template. Thank you so much. One Of The Best Blogger Template. great Work. Great Template. Grat blog and the maker. Simply wish to say your article is as surprising. The clarity in your post is just excellent and i could assume you are an expert on this subject. Well with your permission allow me to grab your feed to keep up to date with forthcoming post. Thanks a million and please continue the enjoyable work. bagaimana caranya untuk memperbaiki slideshownya? feature content slide don't work! why the phrase "Thank you for visited me, Have a question? Contact on: youremail@gmail.com. I have a problem with the "slide", someone can help me. And at every post , this come with it. "Thank you for visited me, Have a question ? Contact on : youremail@gmail.com. Please leave your comment below. Thank you and hope you enjoyed..."
Hi everyone, I'm looking for a free blogspot template to be used for my blogspot based blog directory. thanks for giving the best template!!!! how to replace the background? Thank you for an excellent weblog !! I discovered some useful information and will suggest your blog for all my buddies. This is one of the amzing article so far i have read, thanks for sharing this with us. Sporty's has its own luggage scale that will save you from guesstimating the weight of your bags or using standard baggage weights. I am confident they'll be benefited from this website. Nice Blog! Thanks for sharing with us. Very nice templates dude. You share here very important news about football. 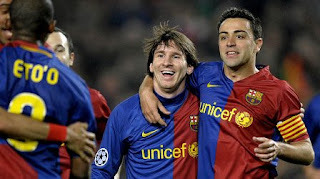 And post here my Favorite playes Lion Messi photo. Also, I like the layout of your site along with the simple navigation. I've bookmarked your website and may return often! G’Day! Thanks for the data I forestall to your next post you're a really sensible individual! i will try another my site... thanks very much.. THanks for this posting, its very useful.. This template is one of the most popular old Blogger templates. Good! i have read atleast 9 posts of yours by now, and let me tell you, your webpage gives the best and the most interesting information. thanks, how to editing the slider mate? It's good theme, I have use it on my blog. Really good and intresting information. Can you please give me any information regarding govt jobs,latest govt jobs,railway jobs,bank jobs?? Really good and useful information. Can you please give me any information regarding govt jobs,latest govt jobs,railway jobs,bank jobs?? Desain Website Pulau Tidung Seribu. Pelatihan SDM is network marketing and training information or training an employee who has worked with many consulting firms and training institutions.